Trade Show Management With Purpose. exhibits for businesses, organizations, and non-profits. Working with you every step of the way, we help you answer these questions, develop a winning strategy, and orchestrate trade show success for your company. 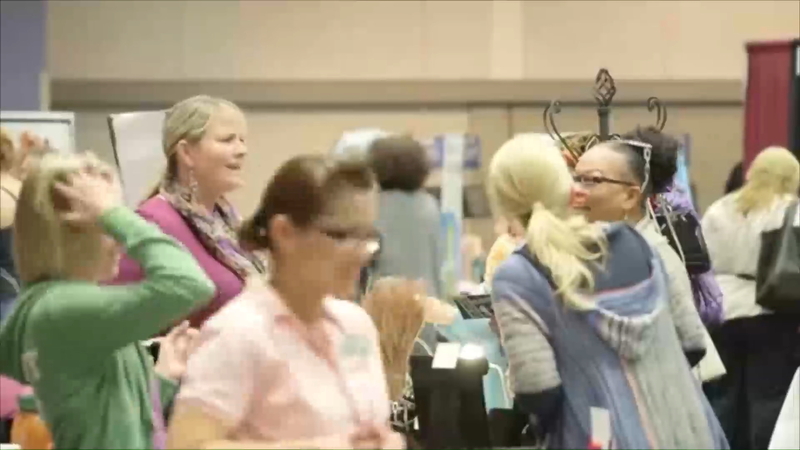 Why does your company want to participate in a trade show? What business goals does your company want to achieve? How will everything successfully come together? We help you define and understand your purpose for trade show participation. Understanding why you want to have your company involved in a trade show is more important than what you are going to exhibit or how much it will cost. Before a single dime is spent, we work with you to define the reasons why you want your company involved in a trade show and help ensure your purpose is clearly communicated to your team and everyone involved in making your trade show participation a success. Your why is the foundation on which a successful experience will be created. Once the why of your trade show participation is understood and accepted, all the other questions become easier to answer. We help you define pinpoint goals for your trade exhibit's success. Whether you're aiming for sales, new leads, or looking to effectively network within your industry -- no matter the goal, we help you define and execute the key goals for your company's trade show success. Understanding what you want to accomplish brings clarity and purpose to the planning process. Once the what is clearly defined and communicated, effective strategies can be designed and executed. We design and orchestrate your trade show success. By understanding how everything comes together before, during, and after your trade show event, your company is primed for measurable success that meets business goals. Your how keeps efforts focused, motivated, and creates a rock-solid blueprint for achieving your company's specific goals. Once the how is understood, the strategies developed can be executed with clarity and poise. Your exhibit's success relies on budgets, schedules, staff, vendors, and logistics coming together harmoniously. We orchestrate your exhibit from beginning to end, allowing you to focus on growing your business. We plan and design exhibit layouts that communicate your brand's message to your audience. We help you find the best space and the best people to maximize engagement and exposure. We budget your project's time and money effectively, maximizing the value of every moment and dollar. We keep everything working together and running smoothly before, during, and after your exhibit's showing. From shipping, to storage, to drayage, we help make sure everything's at your exhibit on time. We develop custom exhibiting and engagement strategies that fit your specific needs. Is your organization an exhibit house? See how we can help with management or work alongside your team to help meet your client's needs. "Having worked in displays with other companies over 11 years ... SageRock's work is the best I've seen." "SageRock was always a great business partner. They are creative, solution-oriented and results-driven. I would hire them again." "SageRock led us into the first steps of transforming a typical expo into a first class business conference."